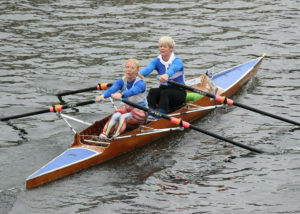 The weekend saw Dover Rowing Club competing in the Teddington Head Race hosted by Walbrook Rowing Club. 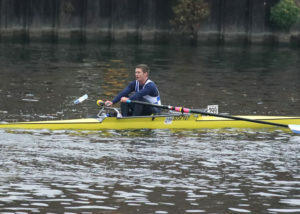 The course offered crews the opportunity to race on a wide section of the Thames over a 5200m route. 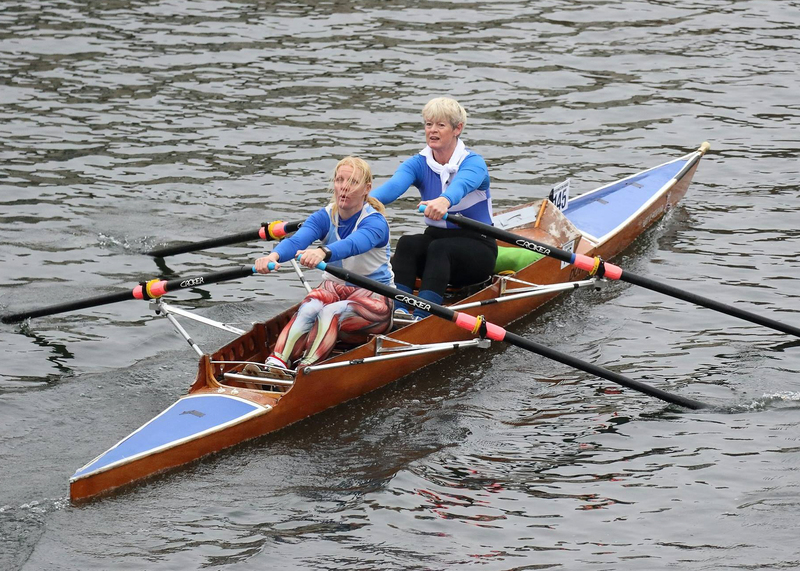 Maria West-Burrows and Jo Johnston raced in the Ladies Double Sculls and Chris Price rowed in the open sculls event after being the sole entry in the coastal sculls class. 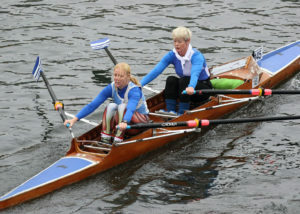 West-Burrows and Johnston were in the first division of the event starting at Hampton Court Bridge. 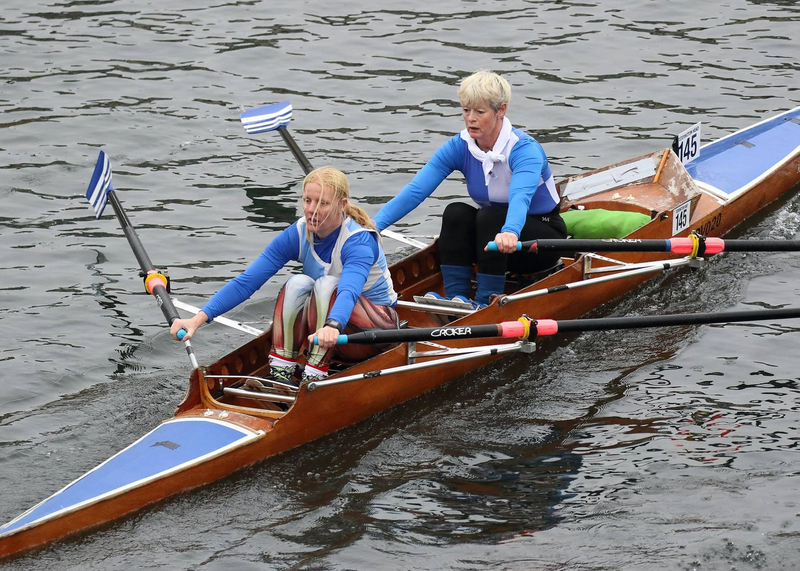 The Ladies crew enjoyed the experience of a wide river allowing greater over-taking options as they pushed against the tide but with the wind. By the narrow section at Raven’s Ait Dover’s challenge had slipped away as the lead crew pulled away in their lighter river boat. 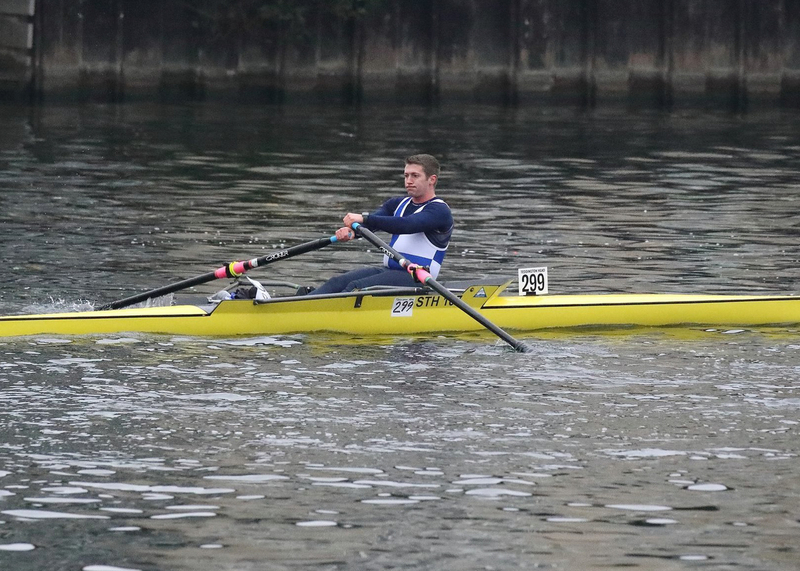 At the finishing line at Steven’s Eyot they were given a rounded time of 27 minutes, leaving them 2nd. 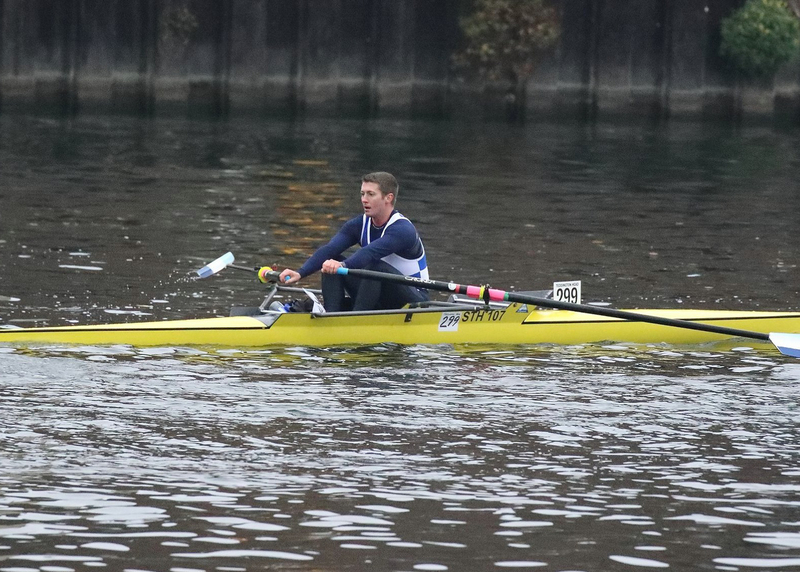 Chris Price, sculling in a borrowed Southsea boat, was up against it with his opponents in their normal river sculls. Price got off to a safe start working hard to maintain contact with the leading boats. He successfully rounded Raven’s Ait as the conditions worsened with the rain increasing to heavy and in rapidly darkening skies. 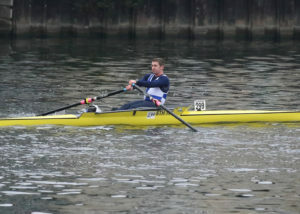 He successfully negotiated both Kingston bridges making home in a time of 24 m 49.4s, leaving him in a credible 4th place. Dover RC would like to thank Jeff Watling from Southsea RC for enabling Price to complete and Joel Dinning, Worthing RC for the photographs.